If you had won the 2012 AeroPress World Championship then this is the grinder you would have received as part of your loot. 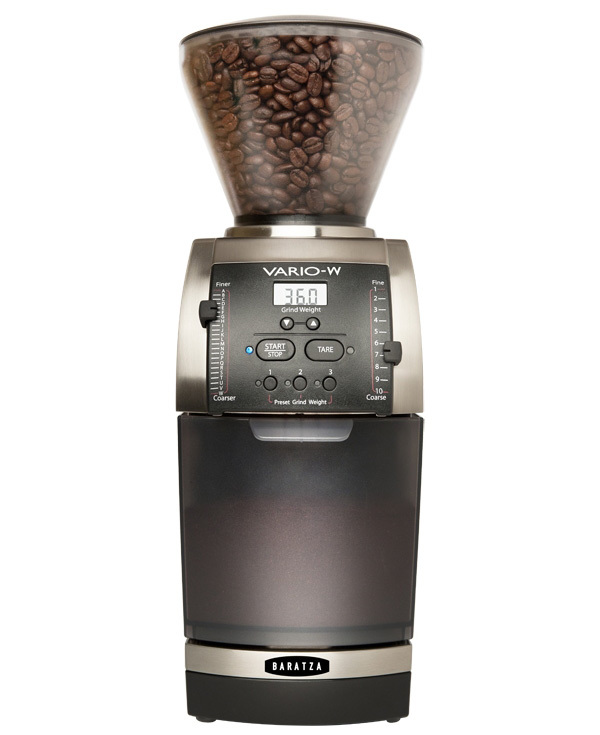 The Vario-W grinder from Baratza weighs 9 pounds, has 230 steps of grind coarseness adjustment, and uses a 54mm ceramic flat burr that is manufactured in Switzerland. 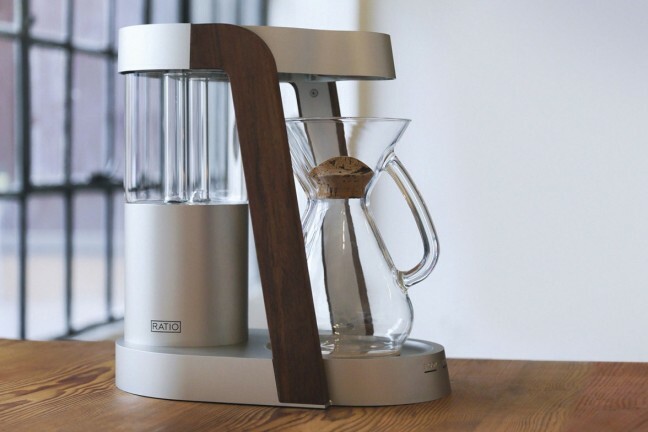 The bean hopper holds up to 227g of whole coffee beans, and the bin can hold up to 142g of ground coffee at a time. 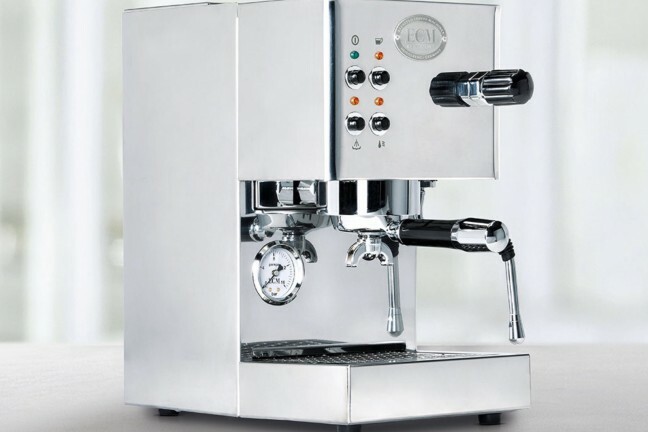 What really sets the Vario-W apart is that it uses a digital control panel along with it’s built-in precision load cell to provide a weight-based approach to grinding rather than time-based — this means you don’t have to pre-weigh your coffee before grinding it. 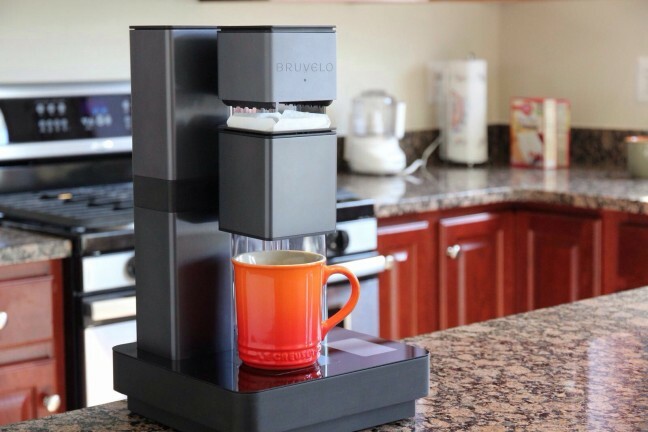 The Vario-W is accurate to 0.1 grams and has 3 programmable buttons for common weights you may use (such as a single serve AeroPress, a pot of french press, and a cup of pour over). The Vario-W is not cheap; it costs $550. If you’re looking for something a bit less serious but still good enough to keep you classified as a coffee enthusiast, then consider the grinder us caffeinated commoners use here at T&T HQ: The Bodum Bistro Conical Burr Grinder.